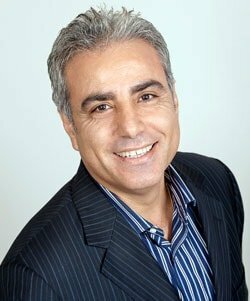 Michael Yacoub is the founder and CEO of Advantex International, a leading business and leadership consulting firm on the Gold Coast. His successful entrepreneurial history has spanned some 25 years during which he founded several multi-million dollar companies including MPC Communications, CelluCovers Australia, Kool4U, Blue Ocean Strategy Consulting and Advantex International. He is a practicing business development consultant working with large multinationals and SMEs in both Australia and international markets. Michael is a sought-after international speaker on innovation and strategic thinking with breakthrough Blue Ocean Strategy approach to implementing profitable strategic moves both online and offline. Known as the business success coach, he has assisted many CEOs and business owners in making their enterprise investor attractive whilst driving profitable business success. Michael sits on several corporate boards and is viewed as a catalyst with his blue ocean strategy impact to redefining the way organisations think and communicate in order to create leap in value for the organisation, its stakeholders and its customers, and to serve the communities to which they owe their existence.